Bengalis Not Allowed To Celebrate Durga Puja? For The 4th Year, Bengalis Not Allowed To Celebrate Durga Puja Due To Fear Of Muslims…? News reports like this makes us wonder which India is this. 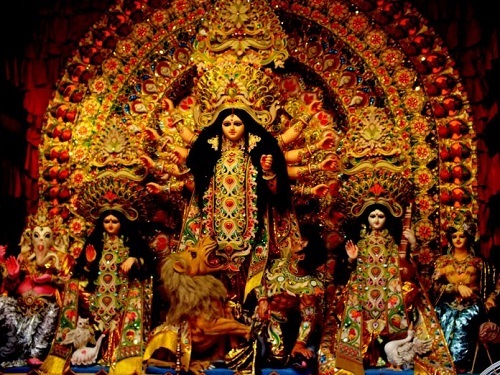 Hundreds of Hindu families living in Hindu majority areas of Birbhum district of West Bengal have been denied the permission to have Durga Puja celebrations due to fear of a few muslim families, per reports from the villagers of this area. Police claim to be a law and order issue but how can anyone be denied to celebrate any festival let alone the biggest festival of the year? And this is the fourth year? Aren’t the police suppose to provide security and ensure law and order? Last year Last year West Bengal government banned the processions for immersion of Durga idols as it clashed with Muharram.